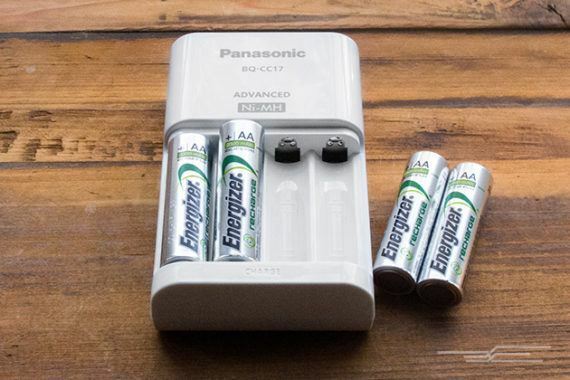 We’re willing to bet that you use rechargeable batteries more often than not. For starters, your laptop has a rechargeable battery, your mobile phone has a rechargeable battery, and your car’s battery recharges itself when you drive. Yet when you pop down to the shops for some AA or AAA batteries, you’ll usually reach for the disposables. But should you stop and make the switch? In this post, Battery Force’s expert team take a look and give you three very good reasons to make the switch. We’ve all been there. The match, or Love Island, or X Factor starts in ten minutes and the TV remote’s decided not to play ball. The kid’s opened their birthday present and the batteries you’ve got to hand probably have about six seconds of charge left. Oh, and it’s a bank holiday. So the shops are shut. If those scenarios leave you in a cold sweat, imagine being able to pop those batteries into a charger, waiting a while, and popping them back into the remote or toy, good as new. For convenience, it’s hard to beat rechargeable batteries. The maths speaks for itself here. Over their lifespan, rechargeable batteries consume up to 23 times less non-renewable materials than disposables. They produce 28 times less carbon, 30 times less air pollution, 12 times less water pollution… It’d be unbelievable if it wasn’t true! The UK has a serious battery recycling problem. Switching to greener alternatives is the simplest way to do your part. That doesn’t look cheaper, does it? But let’s say you get six months’ use out of that standard battery. Over five years, you’ll spend £6.20 on buying new non-rechargeables. Or £1.90 on the rechargeable ones. See? It’s definitely cheaper in the long run. Quite a lot cheaper, in fact. Listen. Everything we’ve said up to now is correct, and you should definitely take it seriously. But you’ll probably have asked yourself why non-rechargeable batteries even exist, given that the alternative is cheaper and greener. It’s because, for some applications, a rechargeable battery just isn’t fit for purpose. Take your smoke alarm. You need to trust the battery in that alarm with your life. Quite literally! Which is why we’d recommend using a standard battery. It’s a matter of lifespan. Your smoke alarm’s battery needs to be tested regularly, but you’ll notice it can last for years. A rechargeable battery self-discharges over months – so if you miss a test, you might not know that the battery’s drained. And that can have huge consequences. So there you have it. Standard battery in your smoke alarm, please.